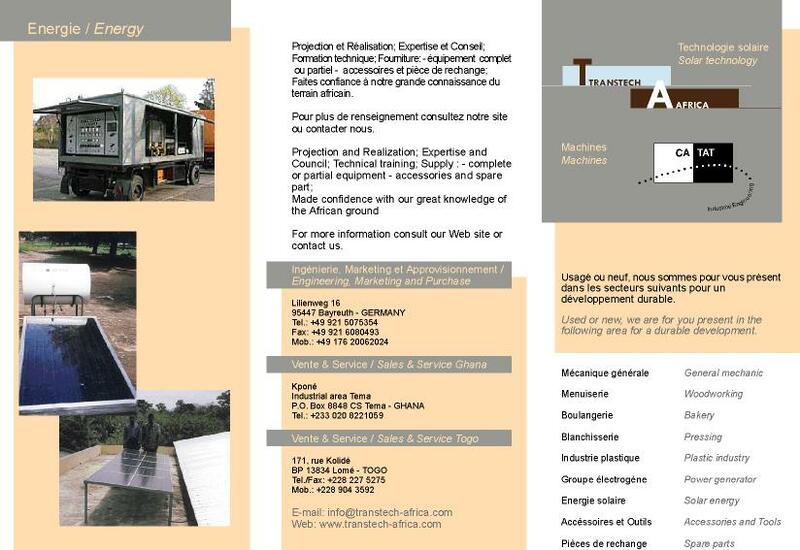 Our main aim is the improvement of evicieny and productivity as well as rentability of small African businesses. Especially young apprentices should be supported to start their own businesses. To fight poverty and to improve working conditions we would like to partition in a efficient and durable development. We would like to support the mechanisation in basically in small businesses in Africa with used machines which are completely overhauled to fit the situation. Our working method is based on the search after technological solutions to fit African context. Our success is not only based on our technological competencies Our Customers get support under consideration of their requirements and possibilities. . We almost all the time find solutions for almost every thing. 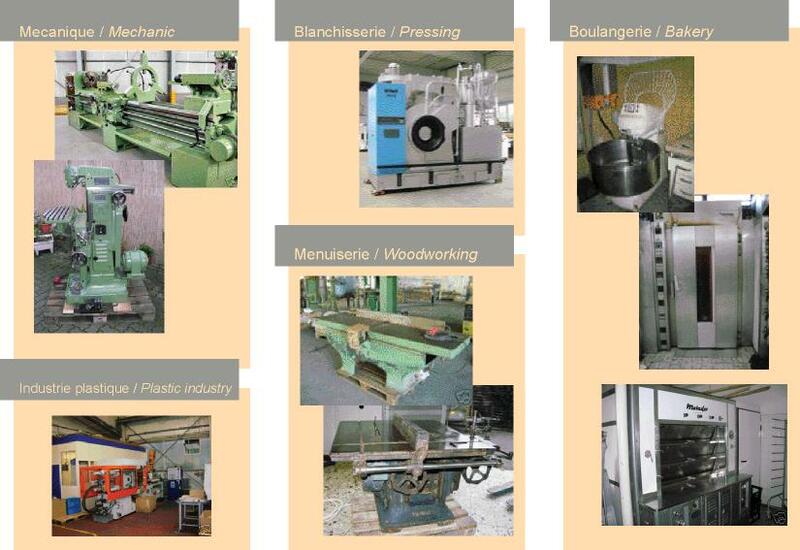 timbre processing, carpentry, sawmill, etc. electricity units, wind generators, etc. bakery, butcheries, ice machines, packageing and conservation machines, etc. dry-cleaning, industrial sewing machines, textile machines, etc.